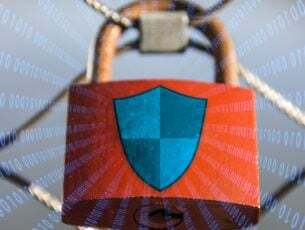 The Windows Network Diagnostic troubleshooter also states, “Diagnostics Policy Service is not running.” Consequently, the troubleshooter does little to resolve the issue and the users’ connections remain down. These are a few fixes for the Diagnostics Policy Service error in Windows 10. 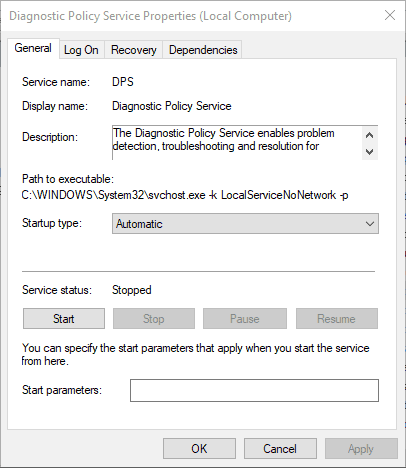 The Windows Network Diagnostic troubleshooter does say that the Diagnostic Policy Service isn’t running. As such, you might need to switch that service on if it’s off. This is how you can enable the Diagnostic Policy Service. Open Run by pressing the Windows key + R keyboard shortcut. Input ‘services.msc’ in Run’s text box, and press the OK button. Double-click Diagnostic Policy Service to open the window shown directly below. If the service is stopped, press its Start button. Select Automatic from the Startup type drop-down menu. Press the Apply button to confirm the new settings. Click the OK button to close the window. 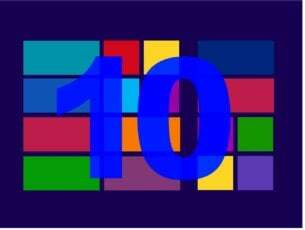 Thereafter, right-click your network’s system tray icon and select Troubleshoot problems to launch Windows Network Diagnostics. Some users have fixed the “Diagnostics Policy Service is not running” error by granting admin privileges to the local and network services. To do that, press the Windows key + X hotkey. Select the Command Prompt (Admin) option to open the Prompt. Input ‘net localgroup Administrators /add networkservice’ in the Prompt, and press the Enter key. 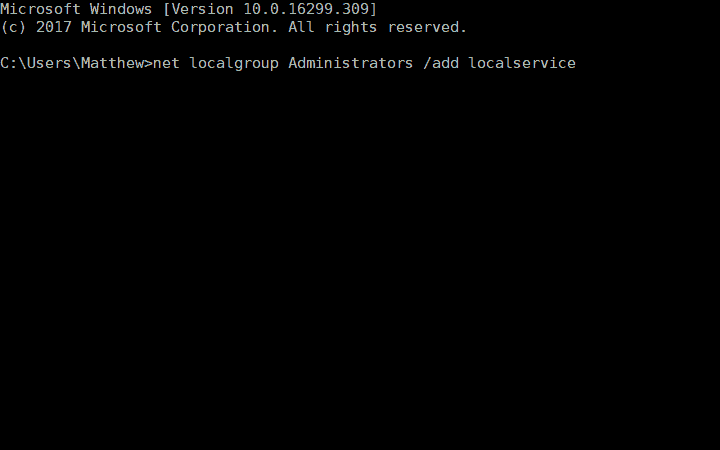 Enter ‘net localgroup Administrators /add localservice’ in the Command Prompt, and press the Return keyboard key. Thereafter, restart your desktop or laptop. The DPS error might also be due to a corrupted network adapter driver. Thus, reinstalling the network adapter driver might resolve the issue. 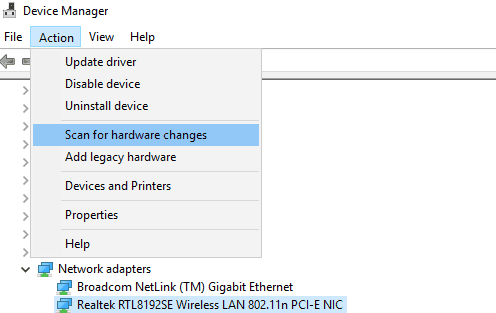 You can reinstall network adapter by uninstalling it as follows. 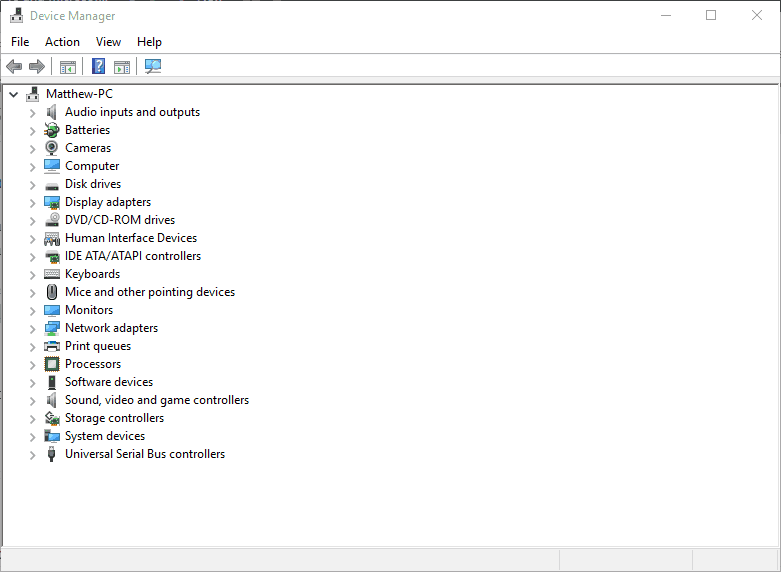 Open the Run accessory in Windows. Enter ‘devmgmt.msc’ in Run and click OK to open Device Manager. Double-click Network adapters to expand that category. 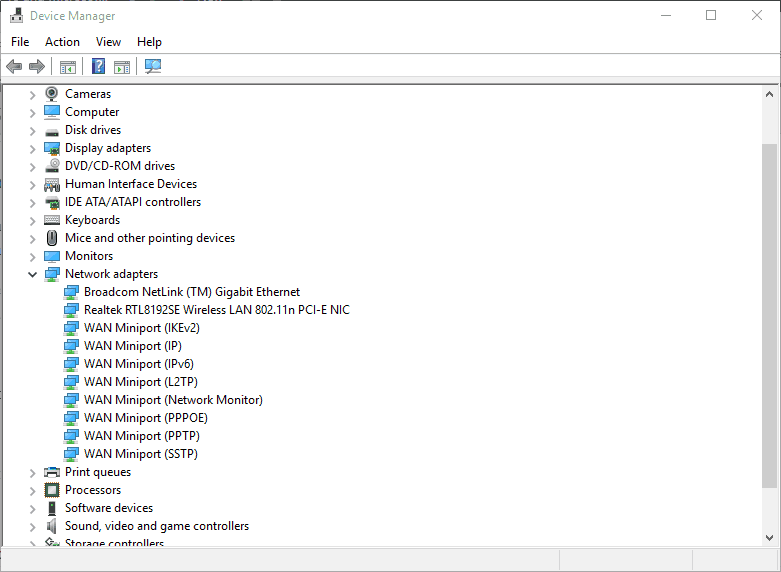 Right-click your network adapter and select the Uninstall device option. Click Action and select the Scan for hardware changes option. Then restart the Windows OS. If your network adapter driver needs updating, update it by downloading the latest driver from the network adapter manufacturer’s website. Open this page for further guidelines for updating drivers. Some users have stated that the System Restore utility has fixed the DPS error for them. So reverting Windows to a time when you could connect to network might fix the issue. You can utilize System Restore in Windows 10 as follows. You can open the System Restore tool by entering ‘rstrui’ in Run and pressing the OK button. 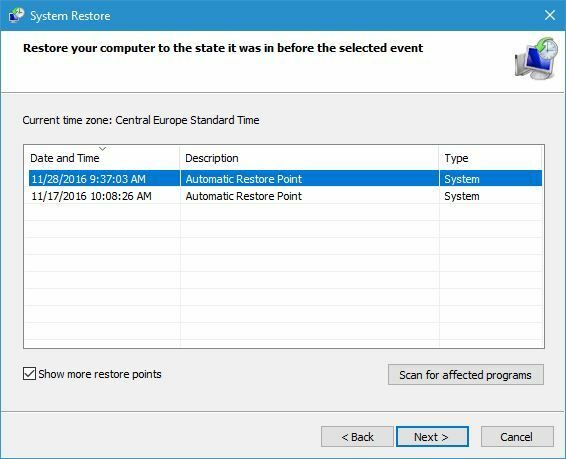 Click the Next button to open a list of system restore points. Select a restore point to roll Windows back to. 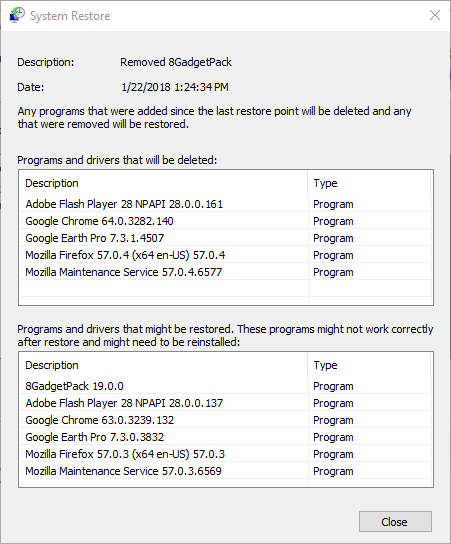 Programs installed after a restore point get deleted. To check what software gets deleted for a restore point, press the Scan for affected programs button. Click the Next and Finish buttons to confirm your selected restore point. Windows will then restart at the selected restore point. Finally, you might need to fix a few system files to resolve the DPS error. You can do that with the System File Checker utility in Windows that repairs corrupted system files. This is how you can initiate a scan with the SFC tool. Press the Cortana button on the Windows 10 taskbar. 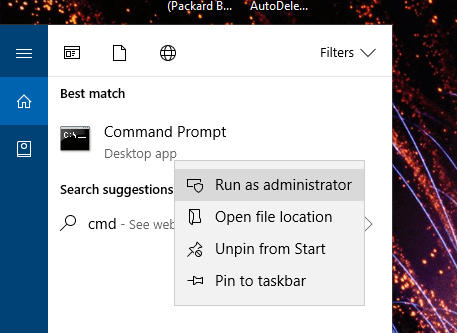 Input ‘cmd’ in the search box, right-click Command Prompt and select Run as administrator. First, run the Deployment Image Servicing tool by entering ‘DISM.exe /Online /Cleanup-image /Restorehealth’ in the Prompt and pressing Return. 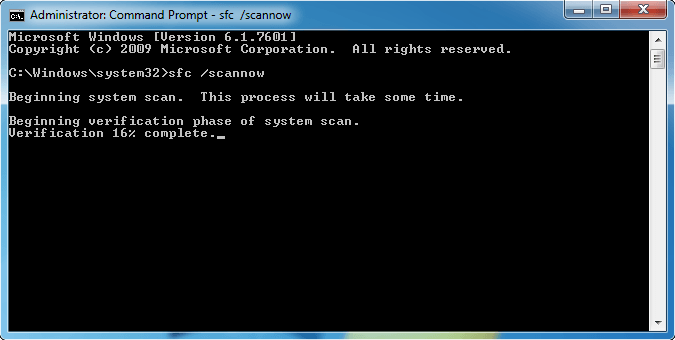 Then enter ‘sfc /scannow’ in the Command Prompt, and press the Enter key. The scan might take up to 30 minutes to finish. Restart your laptop or desktop if the scan does repair files. 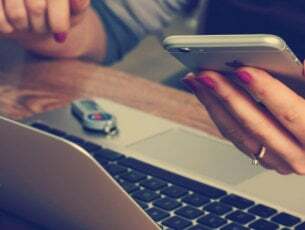 One, or more, of those resolutions will probably fix the Diagnostics Policy Service error and restore your net connection. 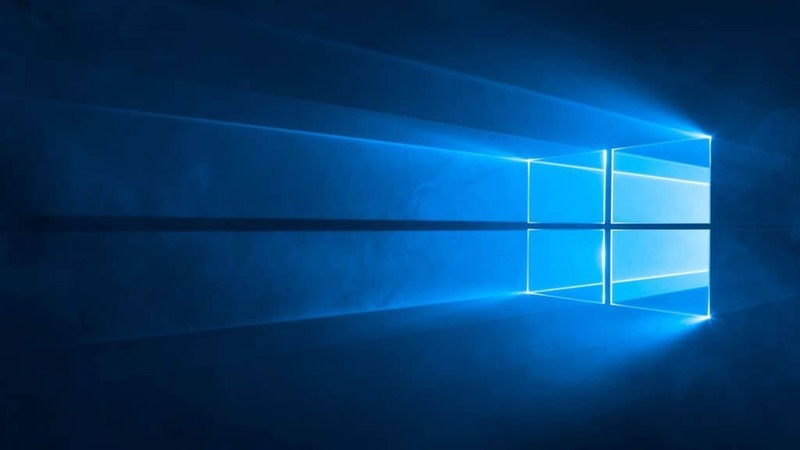 This article also provides some more general resolutions that can fix internet connections in Windows 10.